Sinivalia is a London based company specialising in organic and natural beauty products. To top it off they don’t test on animals – a huge bonus in my eyes – and they are chemical free as they only use natural ingredients. I am being more concious to look out for products that aren’t tested on animals and this range has everything you could need. 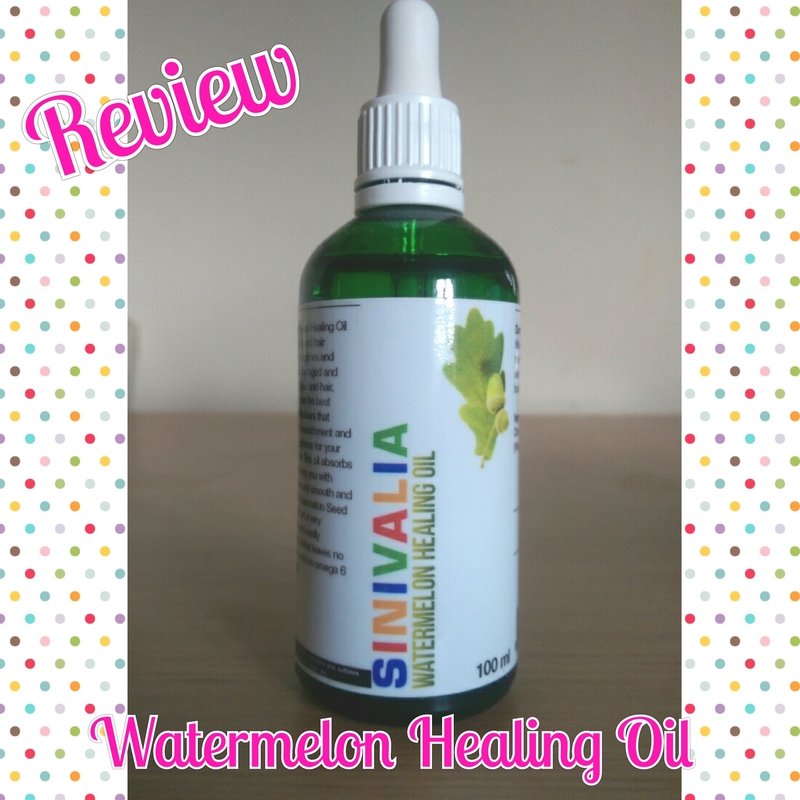 Up next in my range review is the Watermelon Healing Oil. This comes in a 100ml glass bottle and like the other oils also comes with a dispensing dropper. it is made from Watermelon seed oil. As this is classed as a body oil I decided to give my face a miss and use this on my arms, legs and stomach area after a shower. I have really dry skin on my legs and at the top of my arms. This is a clear oil and it absorbs into the akin really quick. I have noticed a difference and my skin isn’t as dry as it usually is. IT appears to have reduced the rednesss I have on my arms as well. One thing that I noticed was the distinct lack of a scent from this – I did expect it be more fruity and smell of watermelon, but instead it didn’t have much of a smell at all. As a body moisturiser I would buy again for sure.